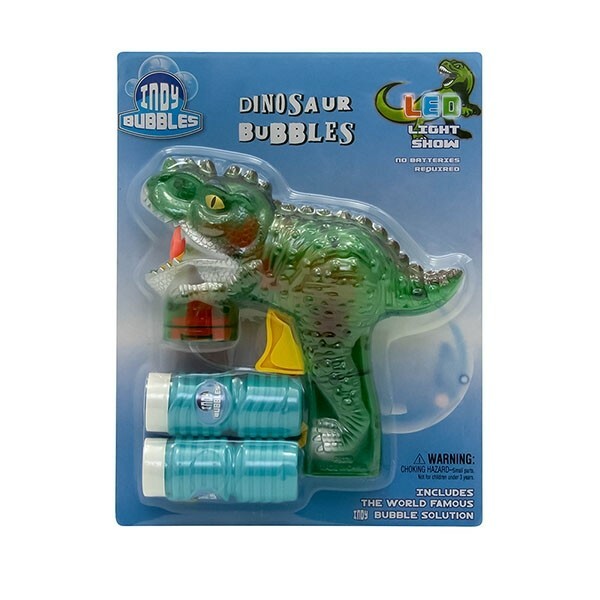 Time to roar with bubbles! 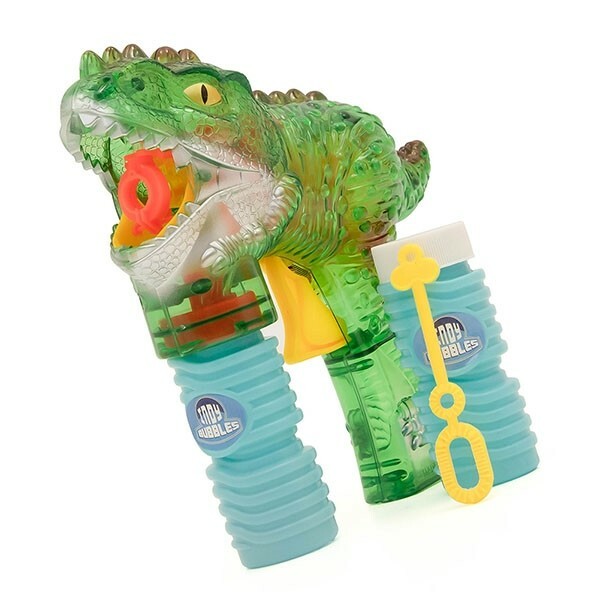 The Indy Dinosaur bubble gun is shaped like a fearsome, ancient reptile but there’s nothing to fear – this neat toy from indy is made to shoot bubbles. 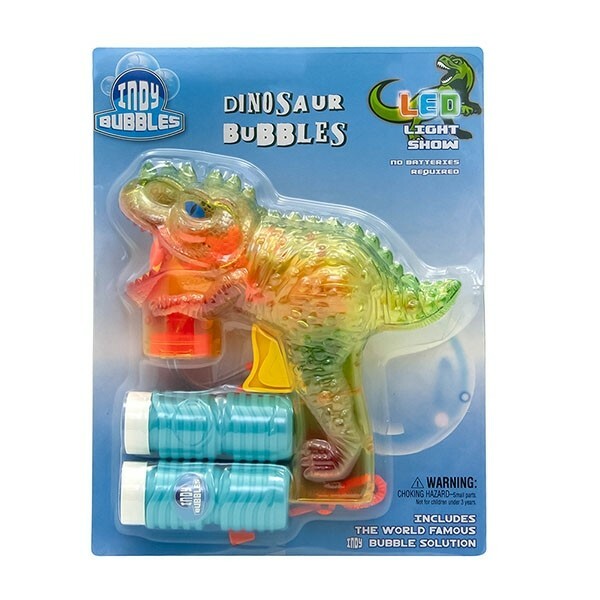 Time to roar with bubbles! 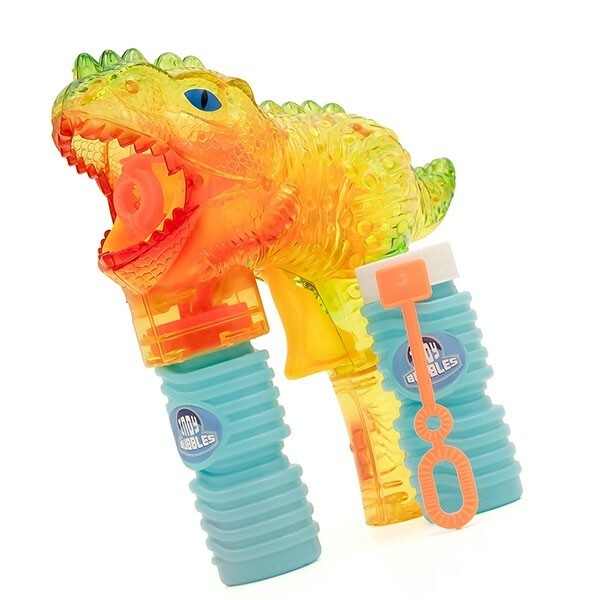 The Indy Dinosaur bubble gun is shaped like a fearsome, ancient reptile but there’s nothing to fear – this neat toy from indy is made to shoot bubbles. Load up one of the two supplied bottles of Indy Bubble solution and start shooting bubbles with a simple pull of the trigger.